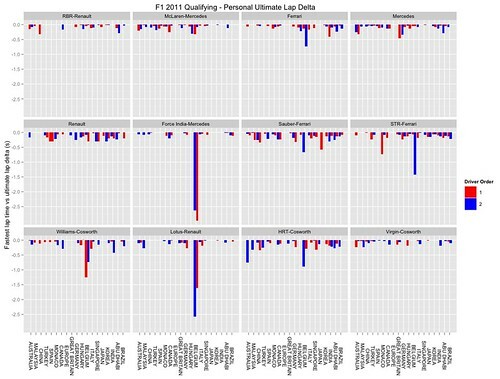 Given the fastest sector times for each driver during qualifying, we can calculate the "ultimate" lap time for each driver as the sum of their fastest sector times. If we then find the difference between this notional ultimate lap time and the fastest qualifying lap time recorded by for each driver, we can get an impression of how close to the limit each driver was performing during qualifying. #This is a hack - is there a better way?